Customer spotlight of an incredible team using the Shimadzu Hyper Vision HPV-2 High-Speed Video Camera and the REL SURE-Bright™ LED lighting system in the real world. 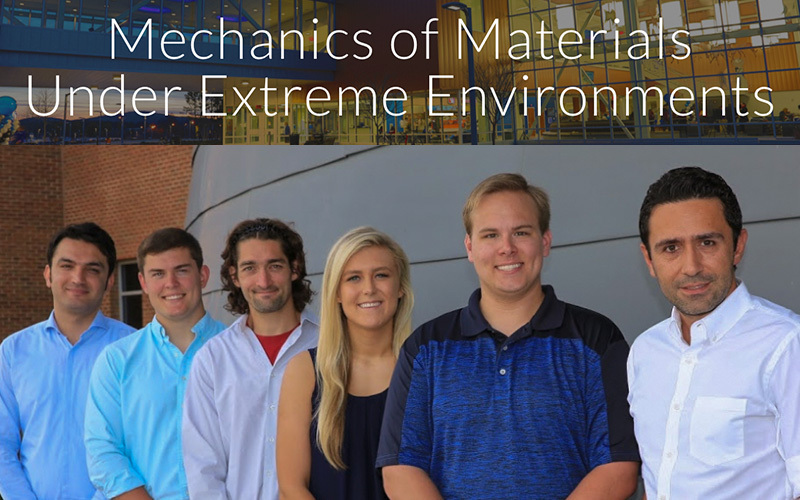 The primary objective of the Mechanics of Materials under Extreme Environments group is to develop the fundamental knowledge required to enhance material functionality under extreme environments such as high strain rate deformation, elevated temperatures, high radiation fluxes, photonic and phononic interactions, or a multitude of the above factors for defense, aerospace and propulsion applications. The main goal is to investigate the constitutive response and roles of evolving intrinsic field variables to provide kinematic, kinetic, and dynamic descriptions of failure mechanisms in critical structural materials.